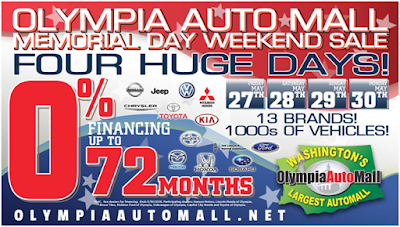 Olympia Auto Mall - Washington's Largest Selection of New and Used Cars: Just 2 More Days to the Big Sales Event !!! Don’t miss out on this great sales event beginning this Friday May 27th!! !